Even at low dilutions, our primary pericytes retain the ability to differentiate along the mesenchymal lineage when cultured in the presence of serum. There are a number of commercially available pericyte cell lines. However, we have had no experience with these cells and they will not be discussed in detail in this chapter. Of note is that human brain microvascular pericytes are available from Neuromics . These cells are also available in a multicellular BBB model system. 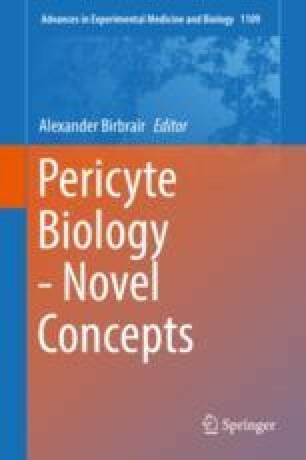 Pericytes do not appear to differentiate under co-culture conditions making multicellular systems useful experimental tools. In conclusion, while techniques are available for pericyte isolation and culture, there are no shortcuts. Pericyte populations need to be defined . For there to be real advances in the field, rigorous adherence to protocols and techniques and characterization of starting material is essential. That pericytes within the vascular bed are both phenotypically and functionally heterogeneous, make it imperative to characterize pericyte subsets.